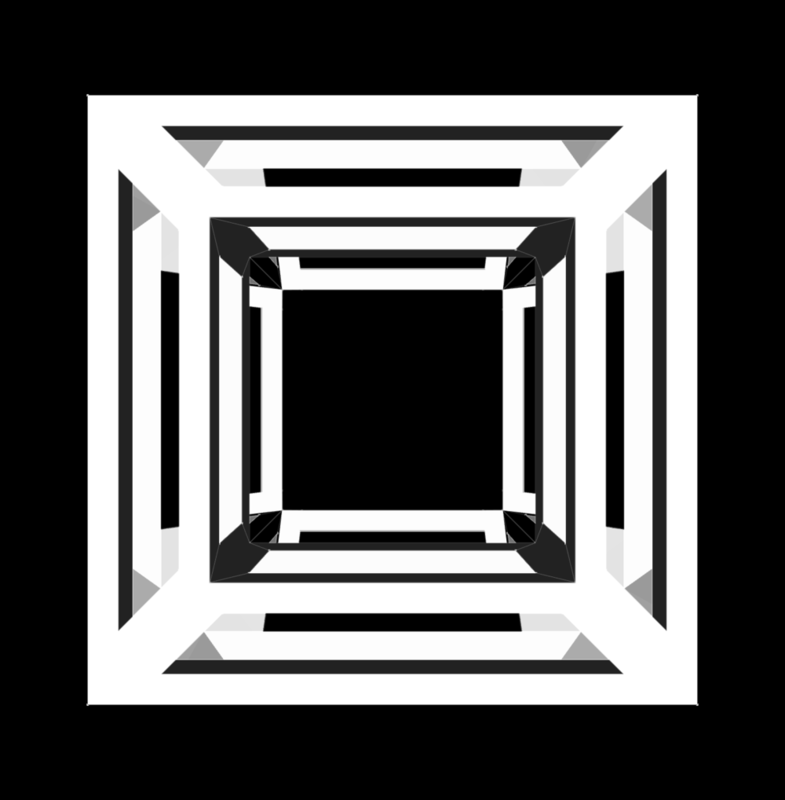 cga.js is a collection of basic computational geometry algorithms. 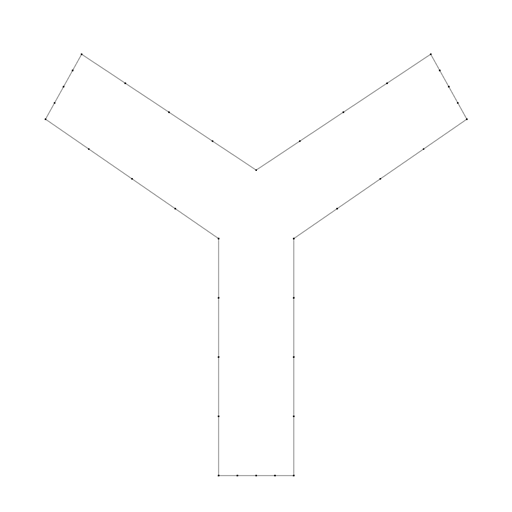 A couple algorithms include the convex hull of points, line intersection, triangulation, and polygon expansion. It also contains many of the smaller algorithms found in Computational Geometry in C by Joseph O'Rourke. 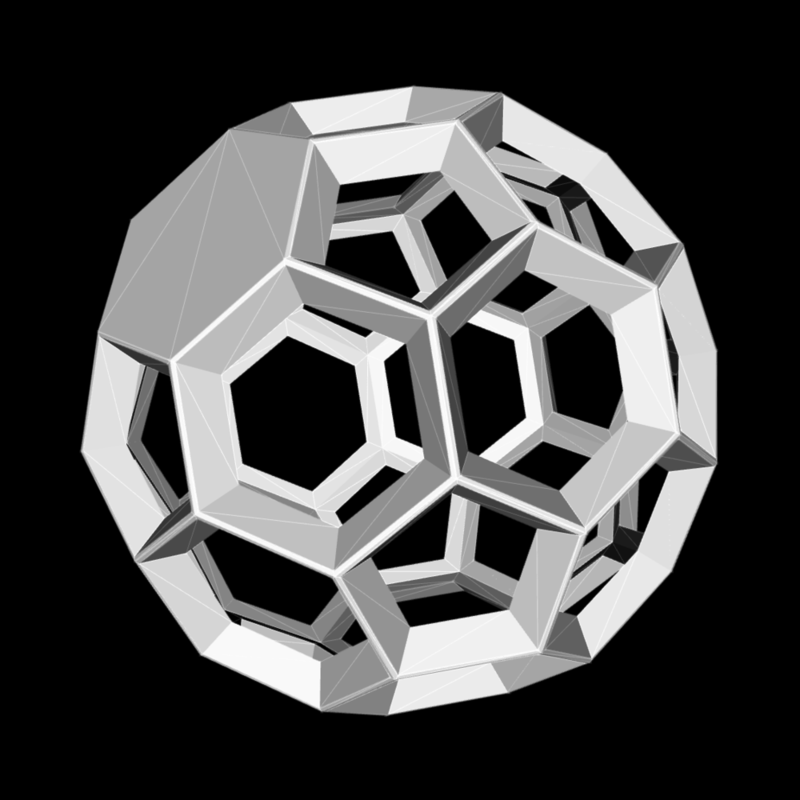 cga.js aspires to be the mathematical mind that powers all types of complex geometry operations for geometric modeling and manipulation. mda.js, [half-edge] mesh data structure and algorithms, is a collection of java script classes that represent a half-edge mesh and functions that operate (smoothing, subdivide, extrude, etc) on the mesh and answer questions about the mesh's properties (queries, and integrity checks). mda.js aspires to be one of the core data structures that helps to enable modeling and manipulation of three dimensional shapes. 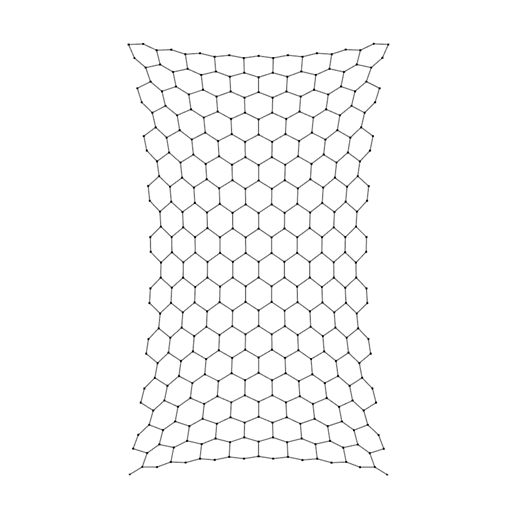 sps.js, super particle system, is a library for simulating particles and springs on the cpu. In addition to core elements, like particles, springs, angular springs, it provides extensible behaviors aka "forces" (vortex, attraction, homing, damping, etc), and physics solvers (Euler, Runge Kutta, and Verlet). 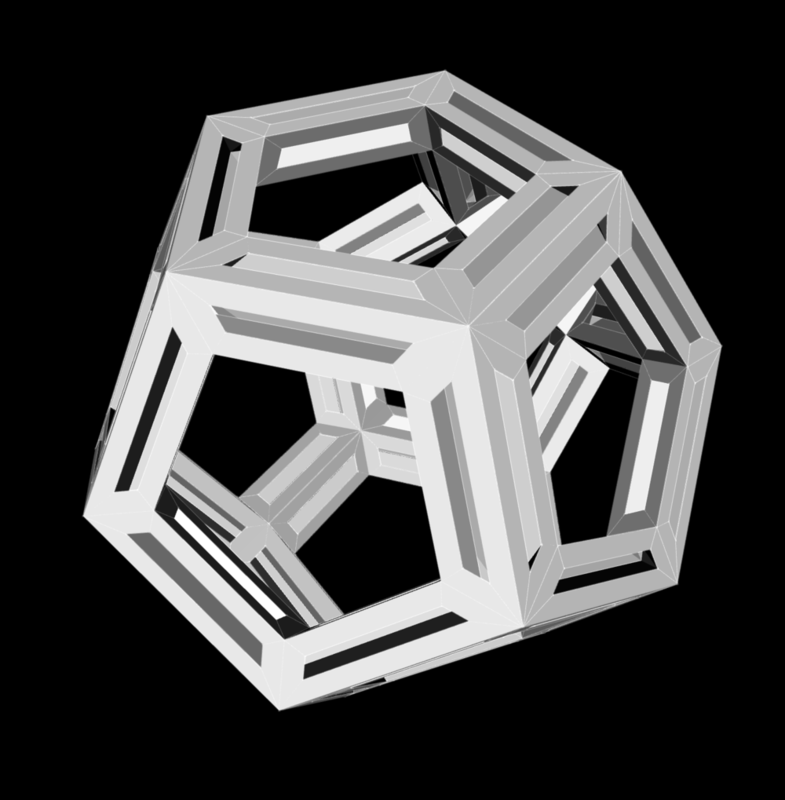 sps.js aspires to be the particle simulation engine that enables all types of generative / computational design approaches. lgp.js, also known as lets get [3D/2D] printing, is a collection of functions dedicated to reading & writing popular 3D printing file formats (OBJ, STL). 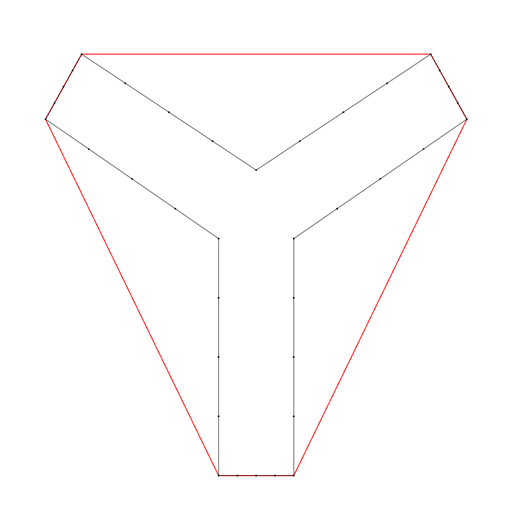 It also helps to write out images and SVG paths for laser etching and cutting. Easy file reading and writing is powered by lgp.js' file reader and writer and can be extended to export various other formats following the examples provide in the repository. 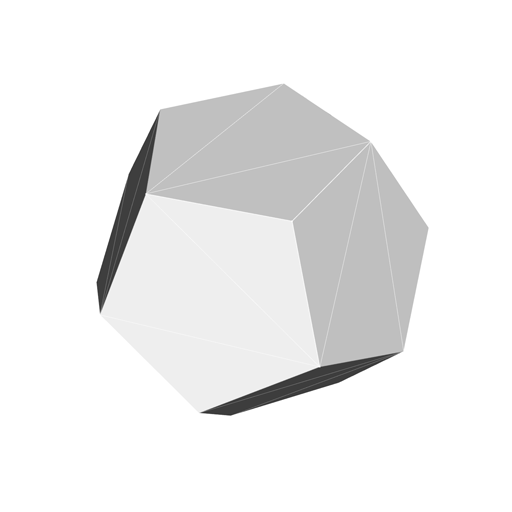 guf.js, geometry utility functions, is a small collection of functions that calculate geometric properties of a mesh. The key feature it currently provides is normal calculation (face & vertex normals). guf.js ultimately helps in the process of rendering meshes so you can see if your mesh's normals are normal and oriented properly. mhf.js is a collection of math helper functions. This small but useful library provides functions such as gaussian, map, clamp, and limit3. This library aspires to eventually be a collection of very useful math functions for generating noise, fall offs, distributions, etc. nsc.js, new shiny camera, is a minimal camera for viewing 3D objects in WebGL applications. This framework independent camera provides a very simple maya like camera for viewing objects. This library aspires to eventually be a collection of cameras for viewing and navigating space. gaf.js WebGL application framework is composed of an App class that helps create an environment like Processing, Openframeworks, Cinder so you can just override the setup and draw methods and get going without having to care too much about the HTML canvas or setting up a valid WebGL context or setting up a draw loop via requestAnimationFrame (which is used inside of gaf.js). gaf.js aspires to provide a flexible & modular internal app framework to help power all types of web apps. Hello World & Vase are web applications, built using the eight libraries developed, that allow users to customize (co-design) forms, download them for 3D printing, and share their customized design. Both applications share a similar interface. The most important app buttons live on the top right corner of the page, these buttons toggle the application's options (form parameter user interface, download panel, the sharing popup and credits popup). Hello World and Vase each have unique form parameters but the other option menus are the same in both apps. These applications make it extremely simple to share and co-create because the form parameters are encoded in the app's URL as they are changed. This also allows a user to undo and redo by simply going back and forward in their browser. Lastly, once a form has been customized, it can be shared either though a the url, a short link, and / or Twitter, Pinterest and Facebook sharing buttons, which are built into the app for easy distribution (and future remixing) on these social channels. The Hello World app is a simple demo that makes a box, cup, plate, and / or a bowl. The box's dimensions and other properties can be set by tweaking the parameters exposed by the sliders in the UI. Furthermore, precise numbers for the box's parameters can be dialed in using the app's URL api (i.e. http://syedrezaali.com/apps/helloworld/?Width=1&Height=3&Depth=2.5...). In addition to a simple box, Hello World exposes the ability to generate smooth boxes, cups, bowls, and plates. 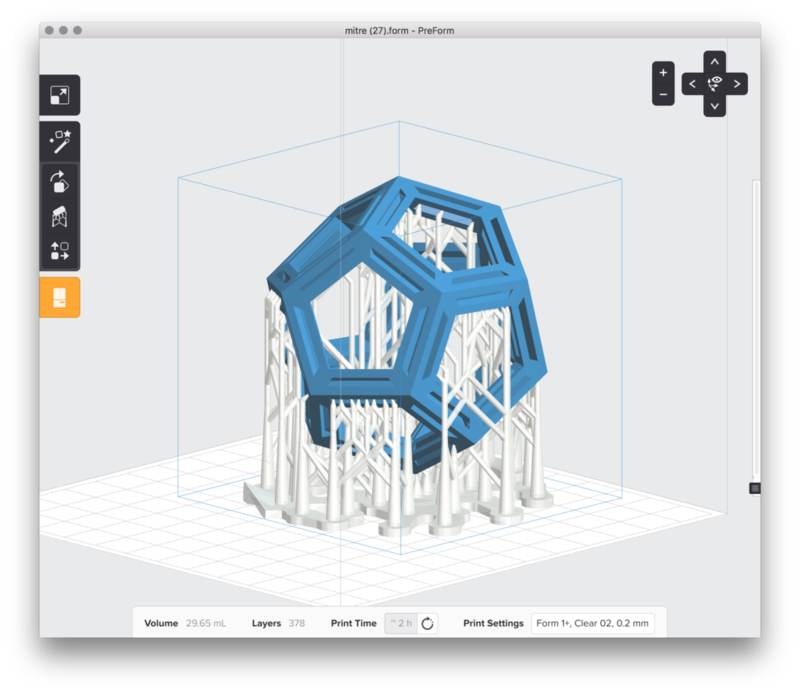 Once the user has configured the form to their liking, they can click the download icon to show the download panel and select whether they want to download an OBJ or STL file for 3D printing. The Vase app allows for more complex form creation than the Hello World app. 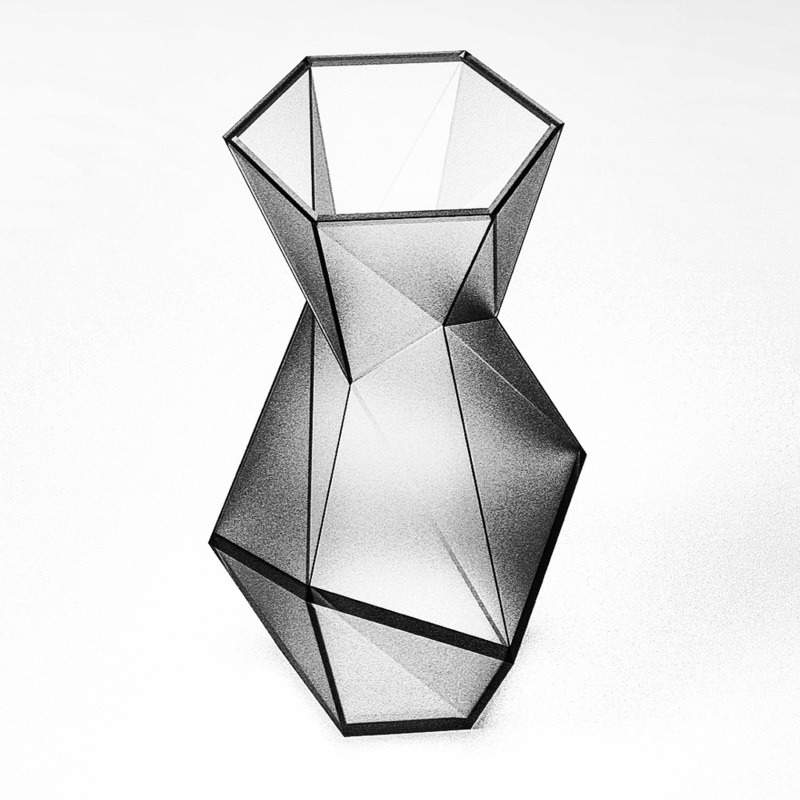 Specifically, this app enables the creation and exploration of faceted forms (vases, lamp shades, cups, glasses, bracelets, and rings). This application exemplifies how a current design trend / fad can be codified and parametrized by a designer and then further co-designed by users to fit their style and needs. 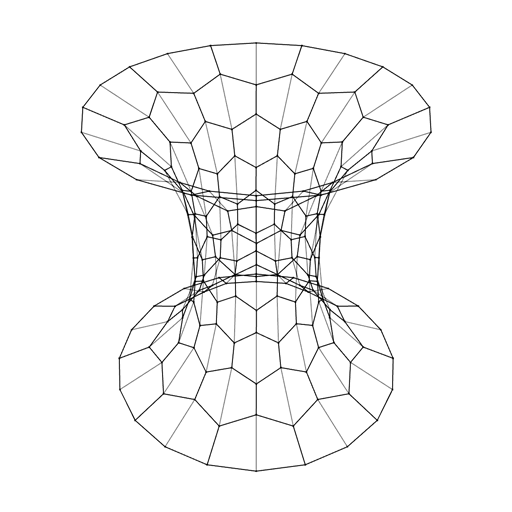 Vase and Hello World are simple examples of what can be made using parametric modeling techniques and the libraries developed. There are tons of other form applications to be built and explored in this on-going research. Credit: Thank you YCAM for hosting me in Japan for three months. I had the time of my life exploring and researching. Also, I'd like to thank James George and Kyle McDonald for their input before and during the residency. Lastly, I'd like to thank all the YCAM Interlab staff for supporting my obsession and for making the residency experience warm and welcoming.